Japanese knotweed removal, along with clearance of other invasive non-native plant species and substantial amounts of litter, is taking place this month in and around the River Stour at Furnace Hill, Halesowen, in the West Midlands. An area of the river Stour that is significantly affected by Japanese knotweed, Himalayan balsam and litter washed from upstream will be targeted on January 26th. Volunteers from The River Stour Clear Water Project will carry out the works. 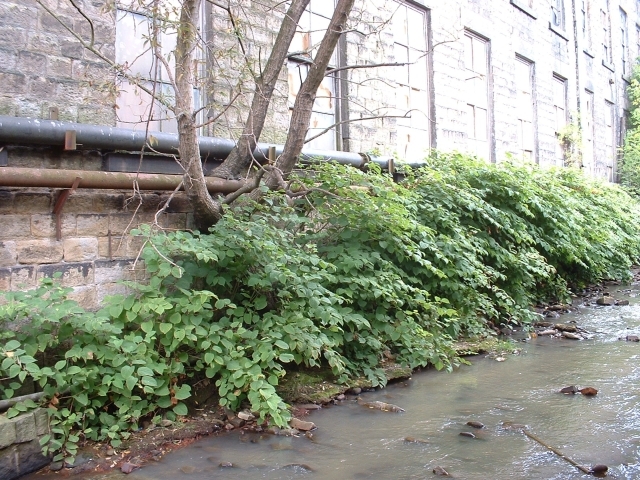 A problem with Japanese knotweed removal at this time of year is that disturbing rhizomes (root pieces) in banks eroded by swollen rivers and heavy rain can cause the plant to spread. This happens as rhizome fragments are broken off and washed downstream, where they can grow into new plants. The same problem applies to Himalayan balsam seed, which is easily spread along watercourses; hence its prevalence on river and stream banks. 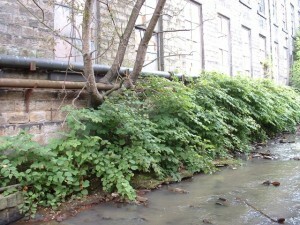 Any work that might increase the risk of spreading these invasive plants should therefore include measures to mitigate the potential for any such adverse impacts.